Stunning Strikes in Gorgeous Gold! Celebrating its 32nd anniversary in 2018, the American Eagle Gold Bullion Coin series is one of the most beloved of its kind. Artistically brilliant and perfectly collectible, each yearly release from the United States Mint commands the attention of buyers around the world. Especially desired are the magnificent proof-struck issues from the acclaimed West Point Mint in New York. 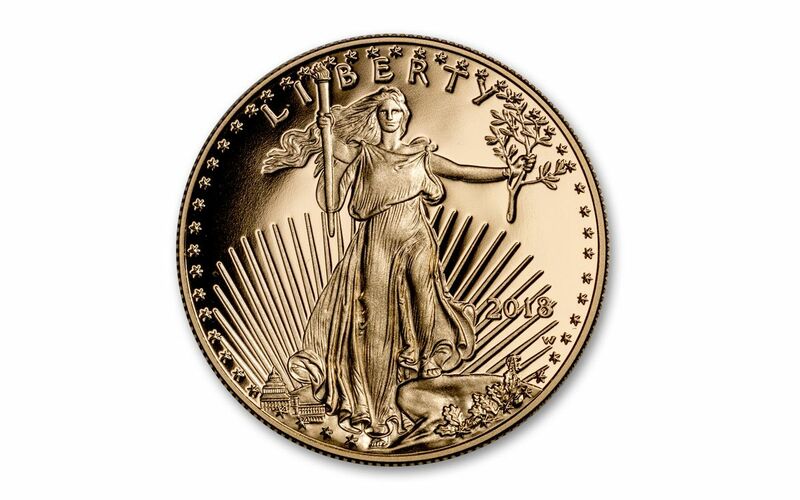 Traditionally, the annual amount of Gold Eagle Proofs struck is only a fraction of the number of uncirculated Gold Eagles produced each year at the Philadelphia Mint. Combine this limited mintage along with the Gold Eagle's elite status among collectors and you have a classic recipe for intense demand! 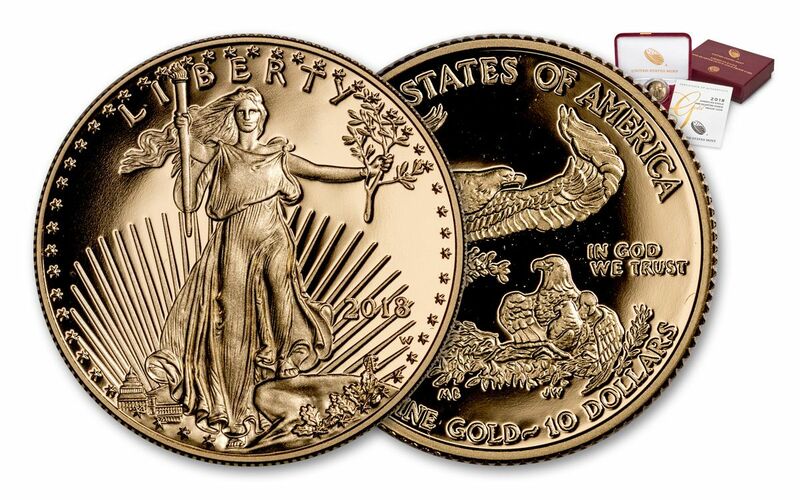 Now, you have the chance to claim one of these Quarter-Ounce Gold Eagle Proofs for your collection! THE ULTIMATE SAINT-GAUDENS CREATION . 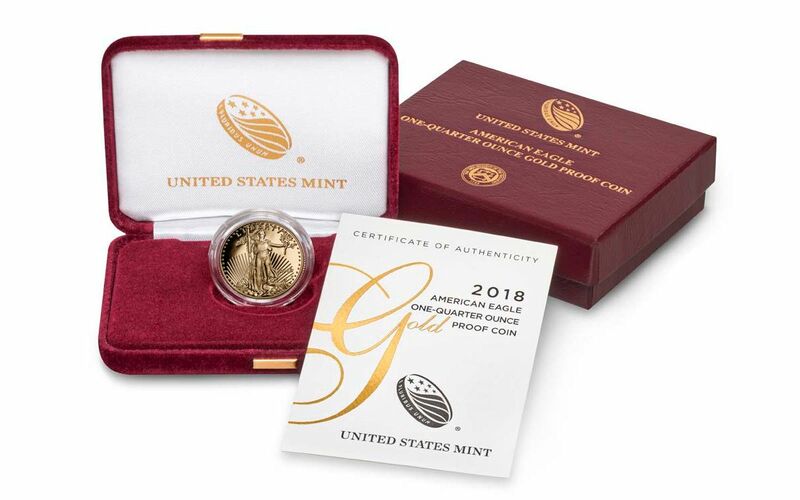 . . -- These Quarter-Ounce Gold Eagle Proofs exhibit a stunning design of Lady Liberty walking forward with focus and purpose, torch in one hand and olive branch in the other. Originally introduced on the famous 1907 $20 Double Eagle and born from collaboration between Augustus Saint-Gaudens and Theodore Roosevelt, this design reveals beautifully intricate details (like the U.S. Capitol building in the distance) with each viewing. EXPERTLY STRUCK IN HIGHLY PURE GOLD -- The craftspeople of West Point are known for their exceptional proof-minting artistry. Each hand-selected quarter-ounce planchet of 91.67% pure gold is transformed into a work of art through multiple strikes from polished dies. In the end, each proof exhibits the Gold Eagle's time-honored designs with frosted, razor-sharp details that boldly rise from mirror-like fields. 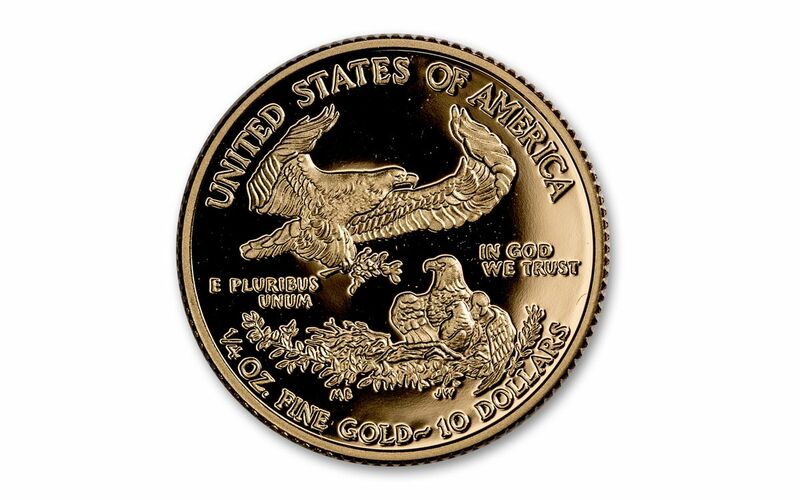 U.S. LEGAL TENDER -- Minted in gold mined in the United States with weight and content guaranteed by the U.S. government, each 2018 1/4-oz Gold Eagle Proof is 10 dollars U.S. legal tender, as seen on the coin's reverse. Don't wait, though -- these collectors' favorites have been tremendously popular in the past, and we're expecting them to barely touch the shelves in our vaults before they're sent out again! Put one (or several) in your cart now!